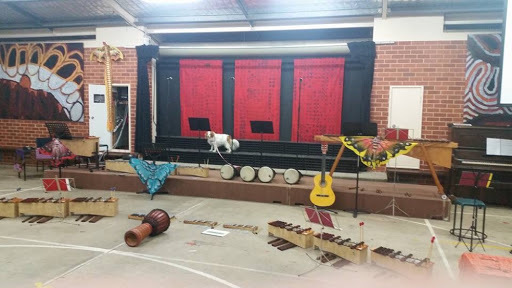 Today's presentation of what the kids do in Music, Indonesian and visual art was a fantastic success. It was a huge amount of preparation with a variety of challenges coordinating three learning areas and 450 kids! Plus don't talk to us about technology! ;) But it was all right on the night and the kids loved it. Every class performed a little musical item. The choir and instrumental groups performed and the whole school sang Indonesian songs. 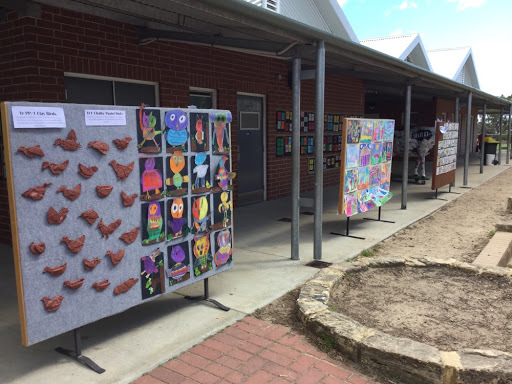 We made a media presentation with photos and film clips showing the kids art works and the fruits of the collaboration between art and Lote with the puppet plays they'd done in Indonesian with puppets made in art. 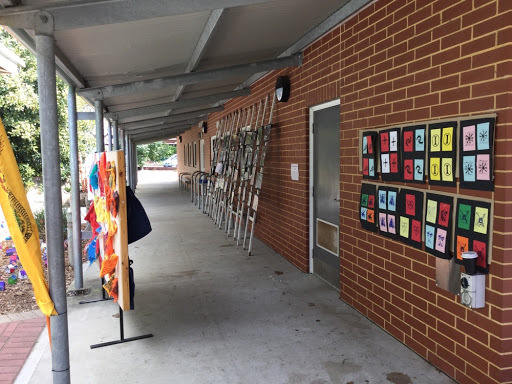 I put together an exhibition of art works from across all year levels showing a variety of art forms we've been doing this term. 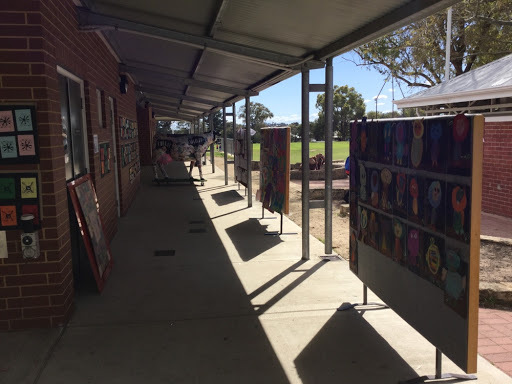 Part way through the day the wind came up and required a flurry of activity to gather up artworks that had flown away and re positioned and nailed back into place with tacks! And the oncoming rain lead to a hasty rearrangement of the outdoor 'gallery' space. It's been a very busy term!